Mr. George Altirs is a self-made entrepreneur and successful businessman, as well as a non-practicing software engineer. He was born in Mijdlaya in northern Lebanon where he completed his schooling. In the late 80’s, Altirs moved to New York where he started his career from the bottom aiming towards owning his own business one day. In 1990, he started his own business with his younger brother out of the basement of their New York home. He founded GMA Accessories Inc., the parent company of Capelli New York and Shanghai Company Ltd. GMA Accessories Inc. is a manufacturer and importer of apparel, footwear and fashion accessories for women and children. Recently, the company launched its sports apparel brand “Capelli Sport” which includes team wear and sports accessories for all age groups. As the CEO of the GMA Group, the holding company that owns GMA accessories Inc. and other non-fashion companies, Altirs managed a small business into an international cooperation with offices in North America, Europe, and Asia. GMA Group oversees a portfolio in real estate and also plays a big role in retail, logistics and manufacturing industries. Altirs is a major shareholder in software and construction companies as well as a major investor in a high-end Manhattan restaurant. As a big soccer fan, he transformed one of his properties into an indoor soccer training facility, known as “Capelli Sports Center“. Altirs’ devotion to the Cedars of Lebanon, along with his belief in the American dream led to the establishment of the “Cedars Stars Academy”, a professional soccer club for young people. In 2013 two of his “Cedar Stars” teams ranked first in the USA in their age group. In 2013, Altirs also acquired a professional soccer team in Wilmington, North Carolina, The Wilmington Hammerheads. Altirs is a committed member of his American-Lebanese community. 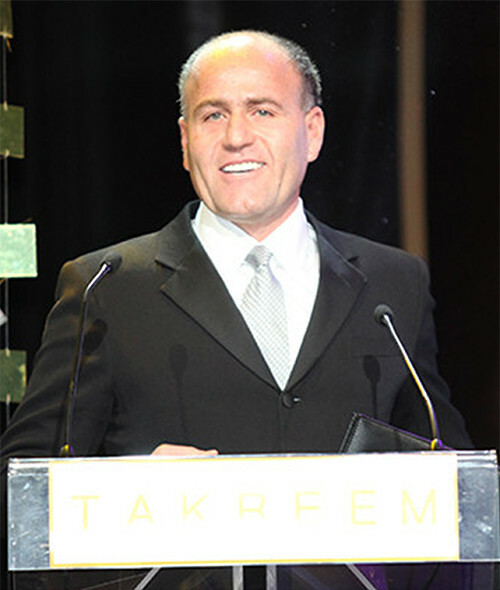 He has financed several projects including a college education fund for many young Lebanese. Altirs and his family live in New Jersey. He and his wife Elisabeth work hard to ensure that their seven children remain in touch with their heritage, culture, and way of life.